The U.S. Marine who marched with neo-Nazis in last summer's "Unite the Right" rally in Charlottesville, Virginia, has been found guilty in a summary court-martial after he reportedly bragged online about participating in the violence that day. Lance Cpl. Vasillios Pistolis was convicted Monday of failing to obey an order or regulation and making a false official statement under Articles 92 and 107 in the Uniform Code of Military Justice, according to the 2nd Marine Logistics Group. 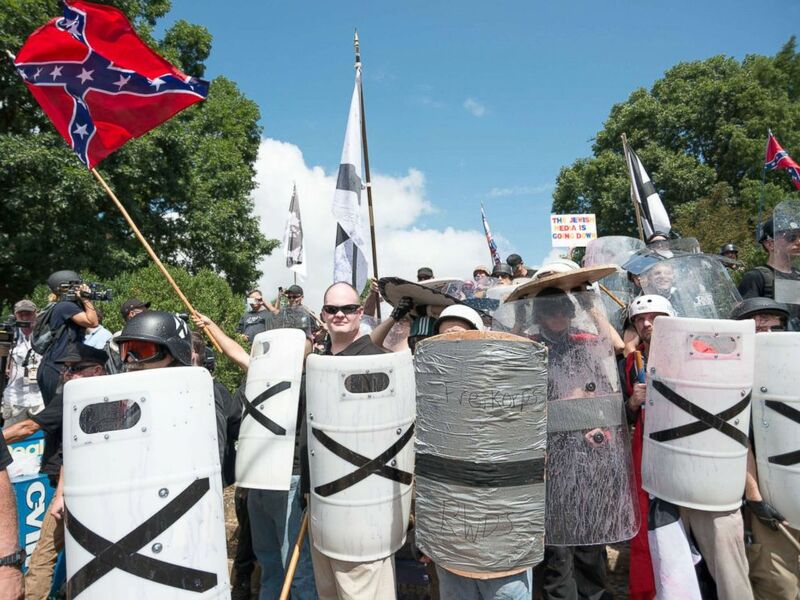 Neo-Nazis, white supremacists and other alt-right factions scuffled with counter-demonstrators near Emancipation Park (Formerly "Lee Park"), Aug. 12, 2017, in downtown Charlottesville, Va.
ProPublica first reported in May that Pistolis belonged to a white supremacist group and was found bragging online about the violence he carried out during the August rally, at which one demonstrator died. He has been sentenced to 28 days of confinement, a reduction of two ranks to E-1, and the forfeiture of two-thirds of his pay for a month. Vasillios has seven days to submit a request for clemency to the convening officer, the Marines said. Two other Marines were arrested in May 2017 for flying a white supremacist banner at a pro-confederate rally in North Carolina, according to veterans news site Task & Purpose. Marine Corps officials told Task & Purpose that one of those Marines, Sgt. Michael Chesny, has been administratively separated from the service, while the other, Staff Sgt. Joseph Manning, was discharged in December.